A rabbi and a pastor walk into a radio studio… One is an orthodox Jewish rabbi, one is an evangelical Christian pastor. One lives in Israel, one lives in Texas – the world’s two “Lone Star States.” And… one is a Redskins fan, one is a Cowboys fan. Spend a few minutes each week learning how the timeless truth of the Bible intersects with today’s headlines. 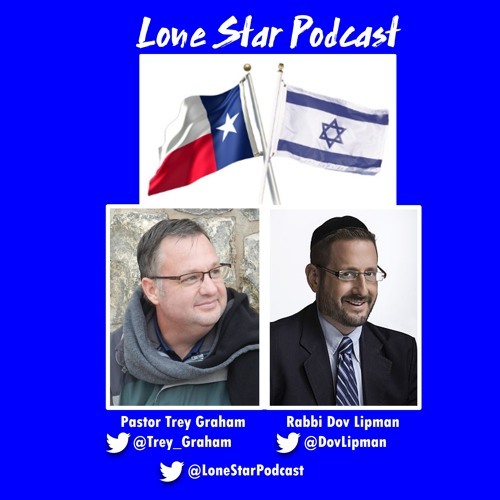 Join Rabbi Dov Lipman and Pastor Trey Graham each week for a podcast that will expand your mind and encourage your soul.